Your smile plays a major role in your self confidence and happiness. A sparkling smile can make you a more noticeable person within our society, which can open up various opportunities for you both personally and professionally. Having recognized the importance of a healthy, attractive smile, modern society is highly concerned about optimum dental health. This is why most successful individuals have made it a habit to visit their dentists for cosmetic dentistry. Over the past years, cosmetic dentistry has thoroughly embraced modern technology. Everything from digital imaging, photos, and X-rays, to electric dental handpiece motors and lasers. Dental materials have also advanced, allowing dentists to create more esthetic, life-like, and durable restorations for a beautiful, lasting smile. Latest developments in this profession have helped our dentist in Pasadena to reach new heights and offer unparalleled solutions for various cosmetic dentistry requirements. Thanks to the latest strategies and technologies utilized during the treatment process, cosmetic dentistry treatments now require remarkably less time. Especially, when it comes to a treatment like teeth whitening, you can see the results within one short visit. With the modern equipments and technology, cosmetic dentistry is hardly associated with any pain. Because of this, you can visit your dentist in Pasadena with a lot of confidence. Truth to be told, modern painless treatments have become a major cause to encourage people to get their cosmetic dental treatments done. One of the most remarkable outcomes of cosmetic dentistry is the increased self confidence. The attractive smile you will have after the treatments will encourage you to meet people and face them proudly and confidently. It is a great value addition to your appearance and personality. Increased self confidence drives you towards new opportunities. A Pasadena dentist like Dr. Vasag Bouzoghlanian uses the finest materials, most sophisticated equipment and latest technology to assure a nearly perfect finish with each and every cosmetic dental treatment. Once the treatment is completed, it will appear healthy and natural, offering the best return for your investment. Dr. Bouzoghlanian, being one of the most experienced and meticulous dentists in the industry, provides cosmetic dental treatments like composite resin bonding, veneers, whitening, dental implants and orthodontics in order to make your smile amazing. You can experience the amount of change a rejuvenated smile can bring you after the treatments; you will look younger, presentable, healthy and more symmetrical. Utilization of the latest technology coupled with high-end subject knowledge, individualized treatment customized for each person, and extensive experience is the key specialty of Dr. Bouzoghlanian and staff. 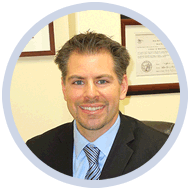 These assets distinguish him as a highly prominent and sought-after dentist in Pasadena. Individual attention, meticulous treatment using top quality materials, expertise consultancy, and personalized service are other key additions to this remarkable service. Your oral health will be thoroughly examined to formulate a comprehensive plan that will accomplish your goals for an award winning smile!